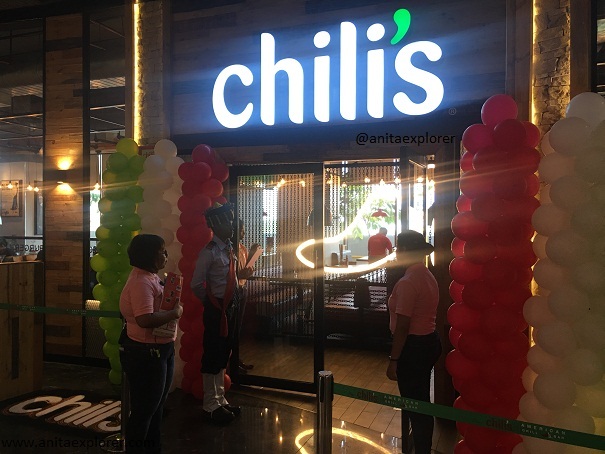 It was wonderful to be invited to for the grand opening of CHILI'S - America's favourite Tex-Mex cuisine restaurant in Bhubaneswar today on 1st October 2018. 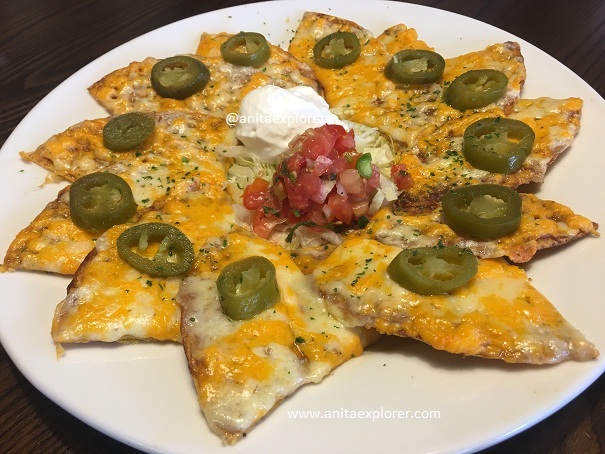 TEX-MEX refers to Texas and Mexican food. 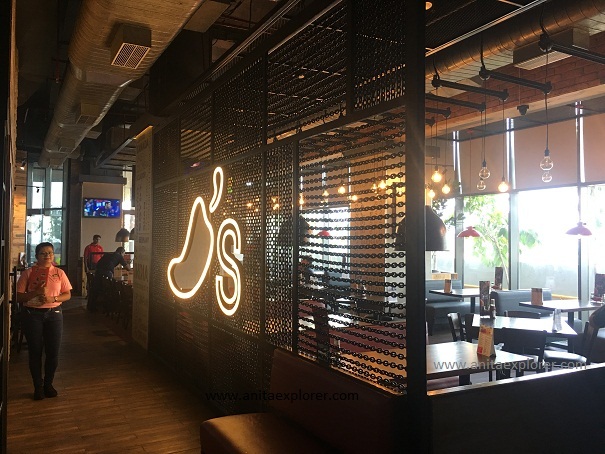 Chili's is an American Grill & Bar restaurant chain with presence in about 35 countries globally. 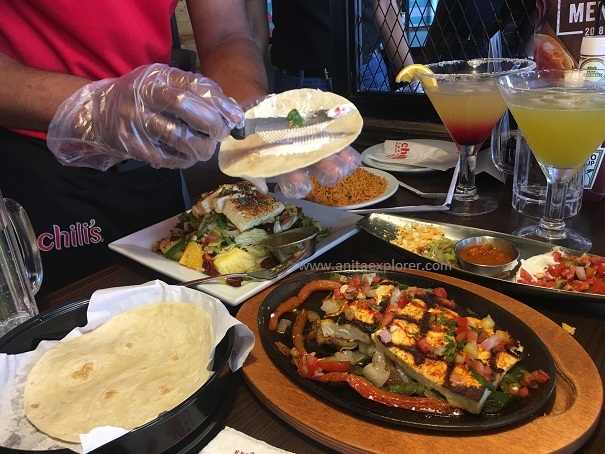 The first restaurant was established in 1975 in Dallas, Texas. 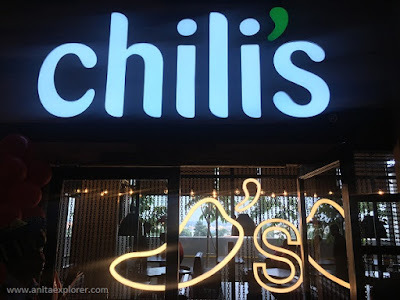 In India, Chili's is present in Delhi NCR, Kolkata and Chandigarh. 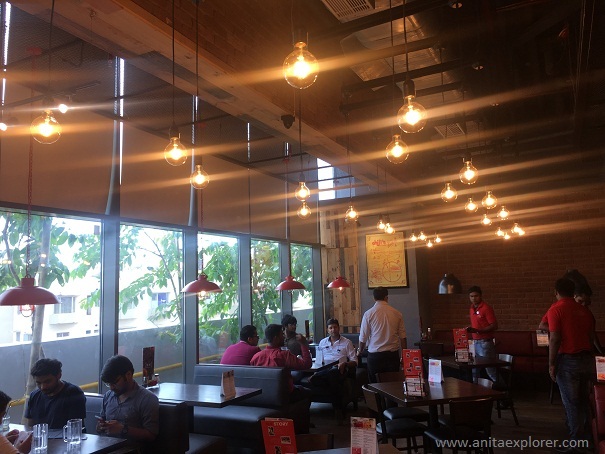 Today, it has opened its newest restaurant in Bhubaneswar's newest mall, the Esplanade Mall. 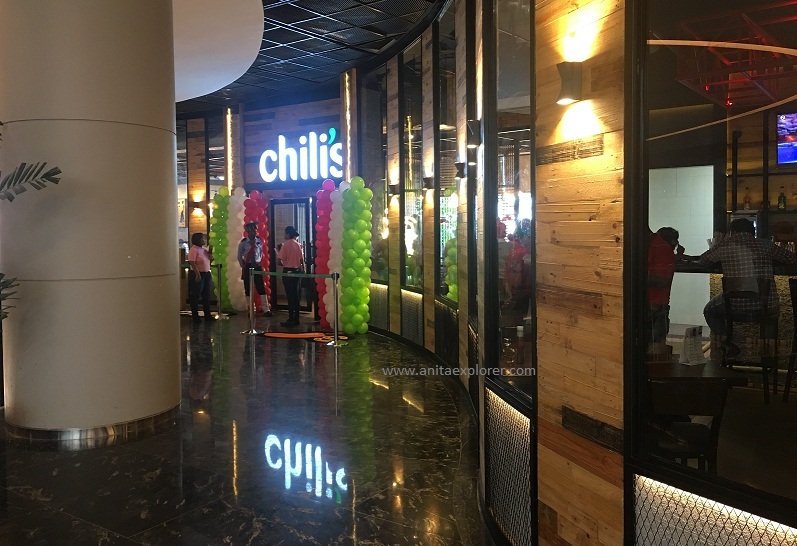 Chili's has chosen a memorable day for its launch in Bhubaneswar- 1st October is World Vegetarian Day! 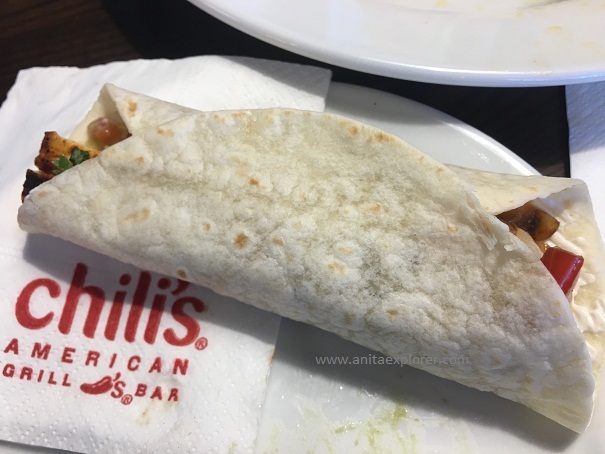 We were delighted to visit the new Chili's restaurant located in the 2nd Floor of Esplanade Mall, Bhubaneswar and to experience the Chili's cuisine. 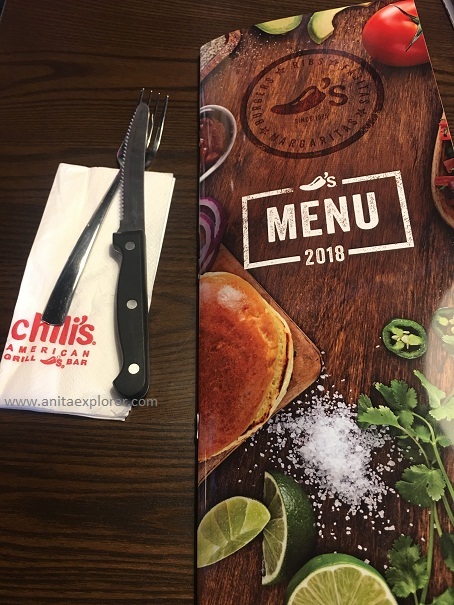 All items in the menu look marvelous! 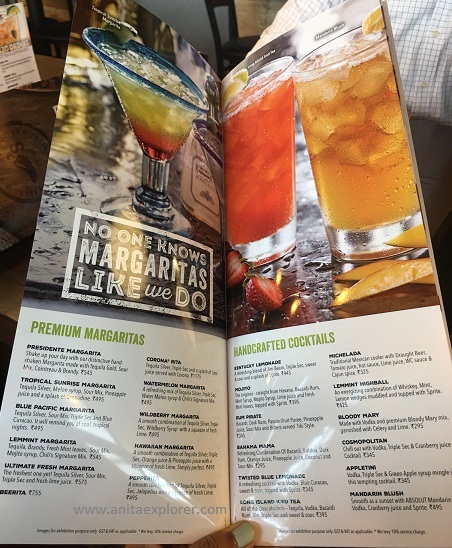 We were spoilt for choice with the variety available. 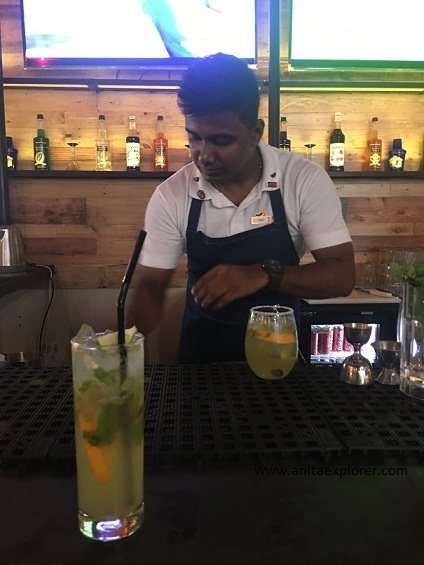 The chief chef, Mr. Chirag recommended some lip-smacking vegetarian dishes for us. 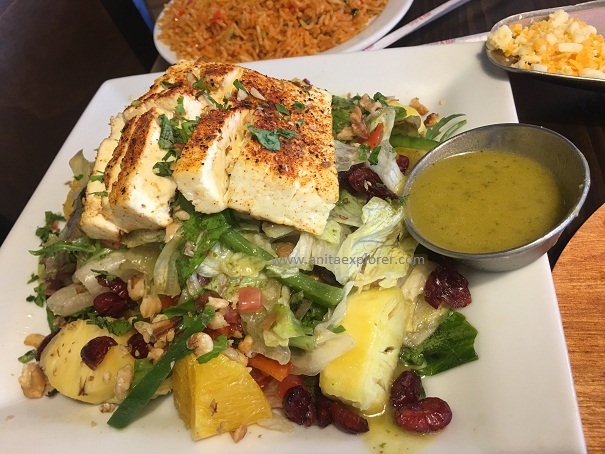 Non-vegetarian dishes were also suggested. 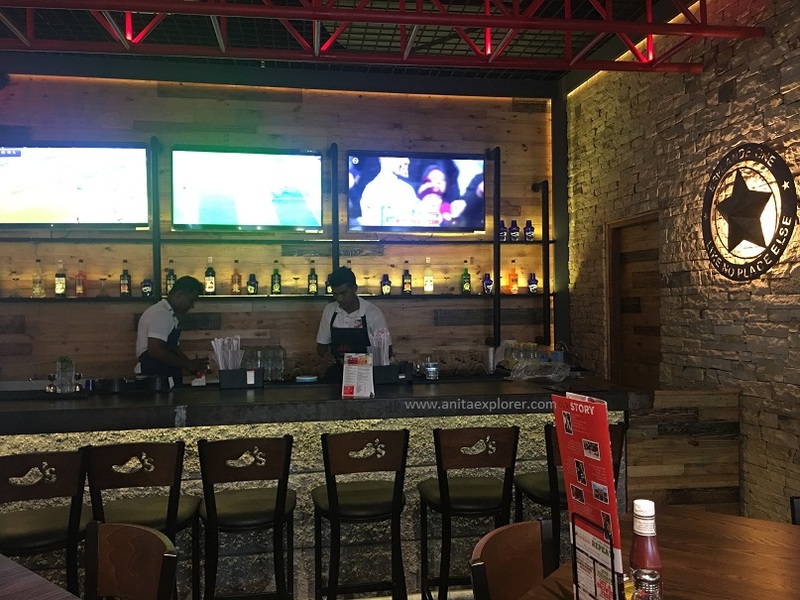 We loved to try out the Classic Nachos, New Caribbean Salad, Sizzling Fajitas and the Veg Triple Dipper i.e. 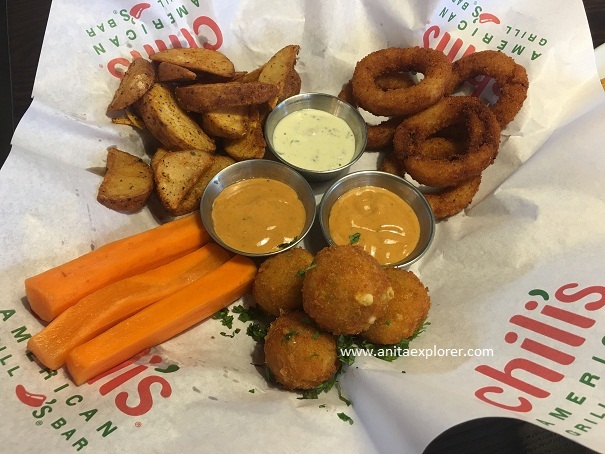 the vegetarian platter constituting Texas Cheese Poppers, Potato Wedges and Onion Rings along with interesting accompanying sauces and dips like Pico de gallo, Sour cream, Guacamole etc. I got to learn so many new words! 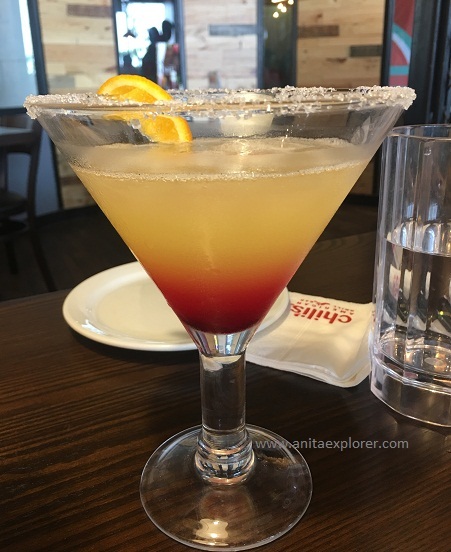 Chili's Grill & Bar has great food and drinks. 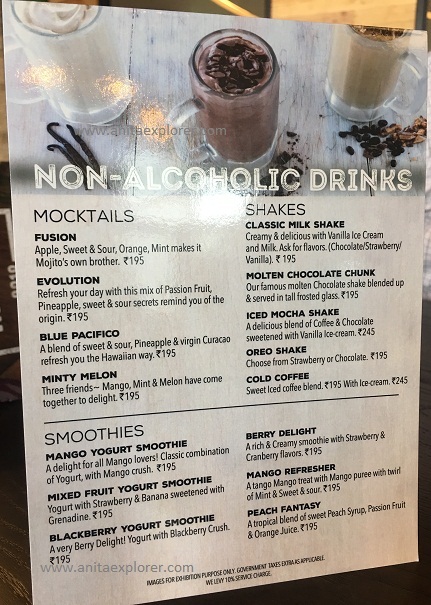 Though there were impressive shakes, smoothies, teas, lemonades, Margaritas, Cocktails and beverages, we tried some non-alcoholic drinks- Mocktails. 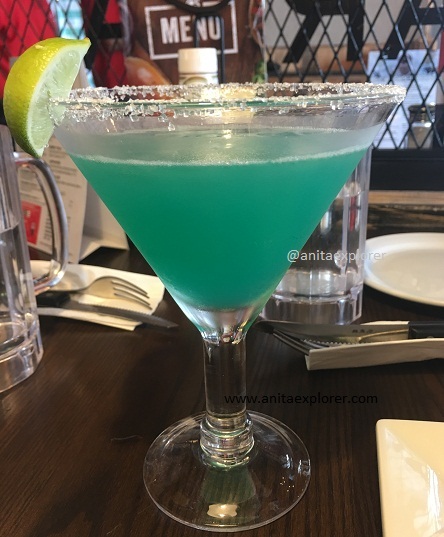 The mocktails named- 'Fusion, 'Evolution' and 'Blue Pacifico' were the chef's recommendation. 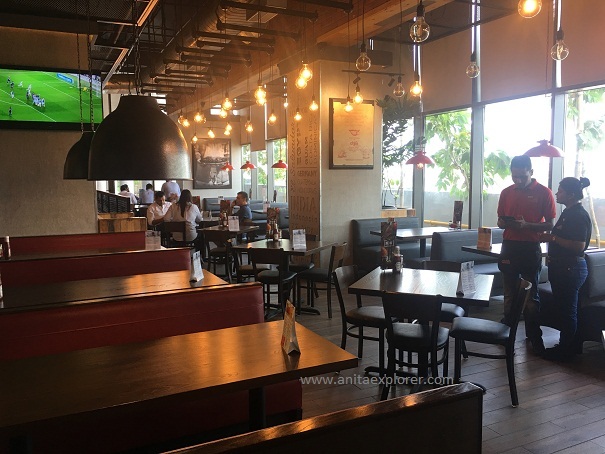 The ambience and the interior decoration is great. 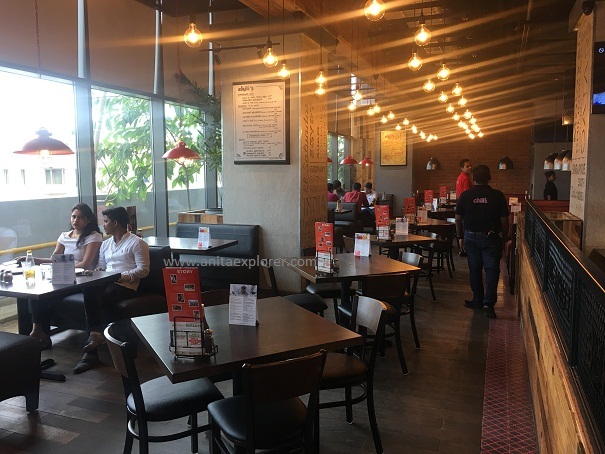 I liked the setting, the variety and quality of the food and the friendly staff. 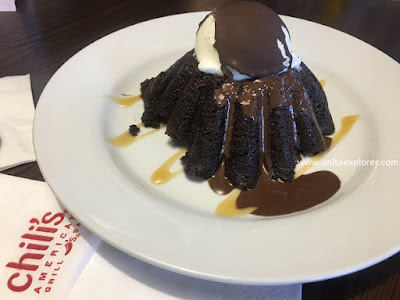 My favourite was the dessert! My recommendation- You must try 'Molten Chocolate Cake' to experience the magic of chocolate fudge, warm chocolate cake and vanilla ice-cream in a chocolate shell. 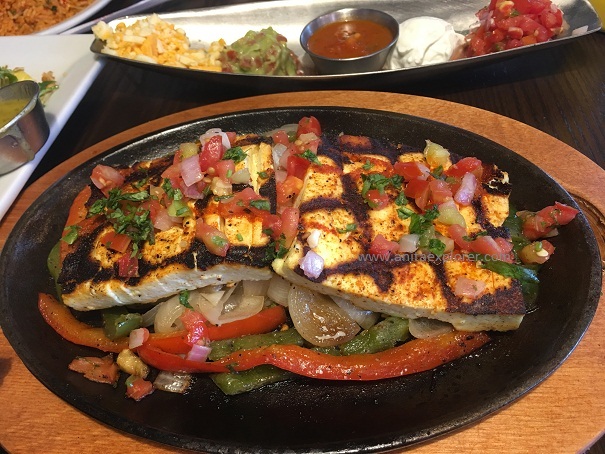 By the end of this sumptuous meal, we were very full. 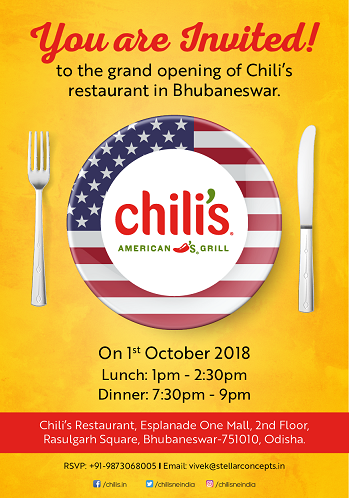 Best wishes to Chili's for a great association with Bhubaneswar. Odisha is gearing up for its major festival- Durga Puja and Dussehra and also for the Men's Hockey World Cup to be held in Bhubaneswar. The festive mood will surely attract foodies to this restaurant for a novel experience. 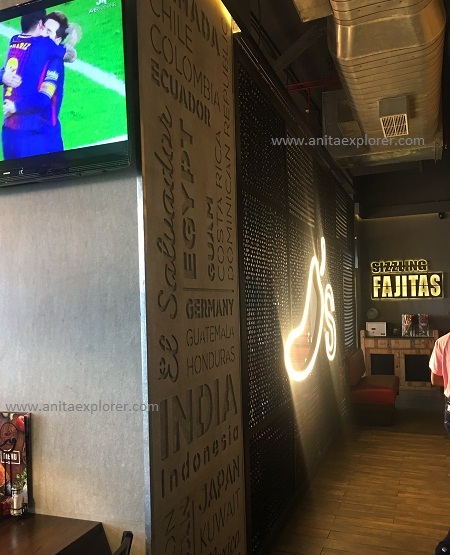 Dear Foodies, time to try out the TEX-MEX cuisine in the comfortable Chili's restaurant. 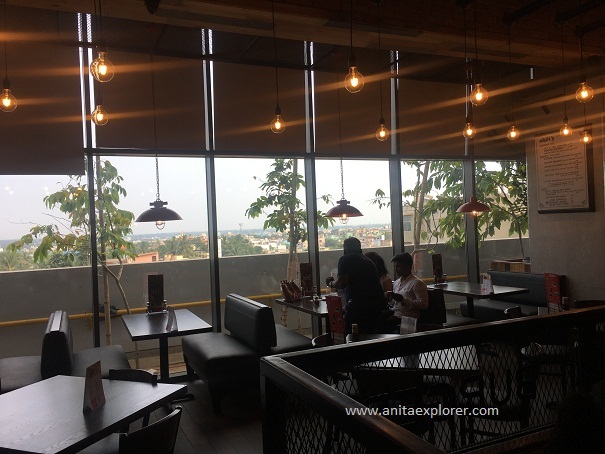 Location: 2nd Floor, Food Court, Esplanade Mall, Rasulgarh, Bhubaneswar, Odisha, India. I thank Mr. Vivek Mishra, Marketing Head - Stellar Concepts, for inviting me. I loved Chili's. It was great to experience your hospitality and cuisines on World Vegetarian Day. 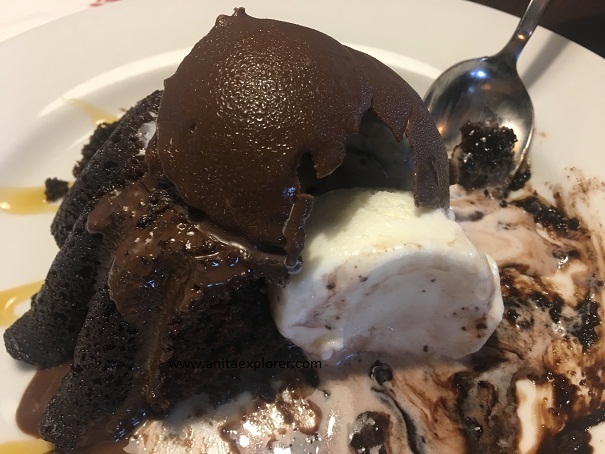 Yummy . madam please Keep commenting on my photo blog because I love your comments. I don't think I've ever been to a Chili's, and they're all over the place!